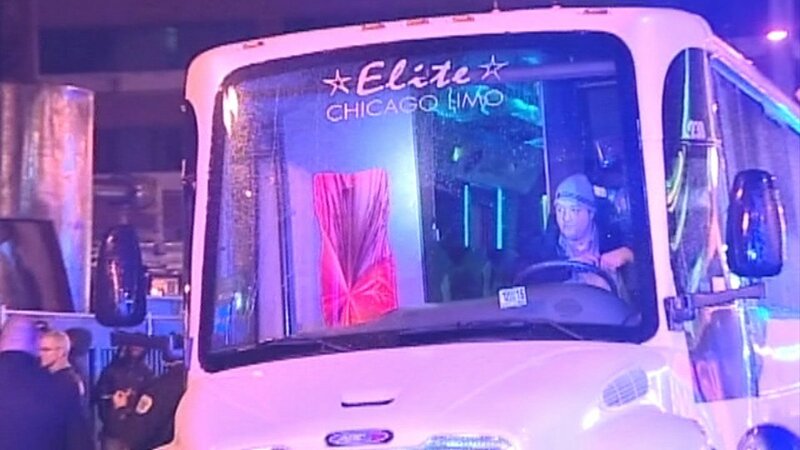 CHICAGO (WLS) -- Shots were fired Saturday night in the Gold Coast neighborhood, apparently from a party bus. Bullet holes were visible in the window of a Jimmy John's restaurant along the 100 block of West Division Street. Police have been questioning several people who were on board the bus and appeared to take a person into custody. A witness told ABC7 that police found two guns on board the bus.